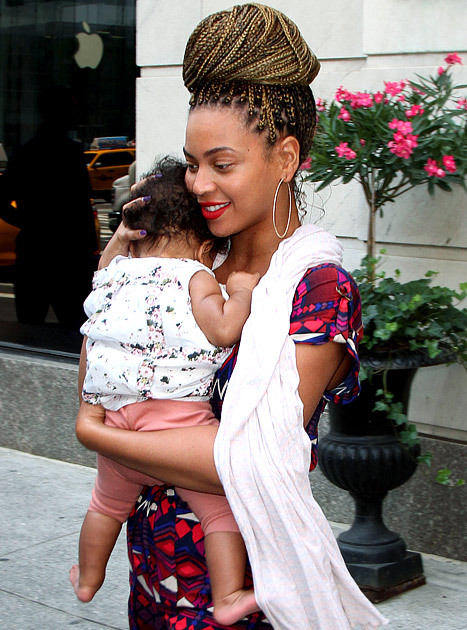 Beyonce is putting her $50 million Pepsi endorsement money to bad use – on her daughter, Blue Ivy. The youngster who turned one last week was spoiled by mommy and Jay-Z as they splashed out a total of $200,000 so that their little one could have the best birthday ever, and when you hear what kind of gifts they gave her, you’ll be fuming. Beyonce hosted a princess-themed birthday for Blue, which included family and friends as they celebrated in the Bahamas. Jay-Z and his wife spent $95,000 on fancy-looking roses, a massive cake that cost $2,000 and a bunch of toys worth $30,000 while another $70,000 was spent on the holiday trip and gifts for the guests. One of Ivy’s biggest present that she received on her birthday was a $80,000 diamond-encrusted Barbie doll, which is so ridiculously stupid because she’ll most likely end up chewing on the Barbie and perhaps start swallowing the diamonds. This makes us so mad, as people are starving in other countries, Beyonce is spending an incredible amount on useless things that Blue most likely will not even play with. Let’s not forget that Ivy is only ONE YEAR old, not four or five — even at that age, you shouldn’t be spoiled with those kind of expensive gifts. But, it’s their decision at the end of the day. We call this very bad parenting due to the fact that they’re splashing money on pointless things. Justin Timberlake’s New Single ‘Suit And Tie’ To Become BIGGEST SELLING Song In A Week!